I have been trying to learn how-to ski all winter. My parents were born and raised in Calcutta, India - they didn't grow up skiing and the idea of sending me or my sister down a steep hill on two sticks just never crossed their mind. After spending money on lessons, rentals and accommodation, I realized that skiing can be a very expensive sport and a luxury my family couldn't afford growing up. Part of me wished I had learned when I was younger. I think it would have been easier, I think I would have been more fearless instead of constantly thinking about how I was going to break something. Watching kids fly down the ski hill doing a pizza wedge always has me green with envy. So at the age of 32, I no longer wanted to be a snow bunny. I finally wanted to learn how-to ski. The nice people up at Horseshoe Resort invited me up for a private ski lesson ($89 for one hour) with my instructor Rob. Just spending an hour with some solid one-on-one coaching was I able to finally let go of that pizza wedge and start to actually parallel ski. If you haven't skied in years and need a refresher course, a one-hour tune-up will save your life. The runs at Horseshoe Resort are incredibly wide and uncrowded when I visited on a week day. I often had the run to myself and didn't get nervous crashing into people. Group lessons are a deal, only $25 for 90 minutes. New to skiing? The Discover Skiing and Boarding package is an incredible value at only $73 and includes a four hour rental, lift and a group lesson. 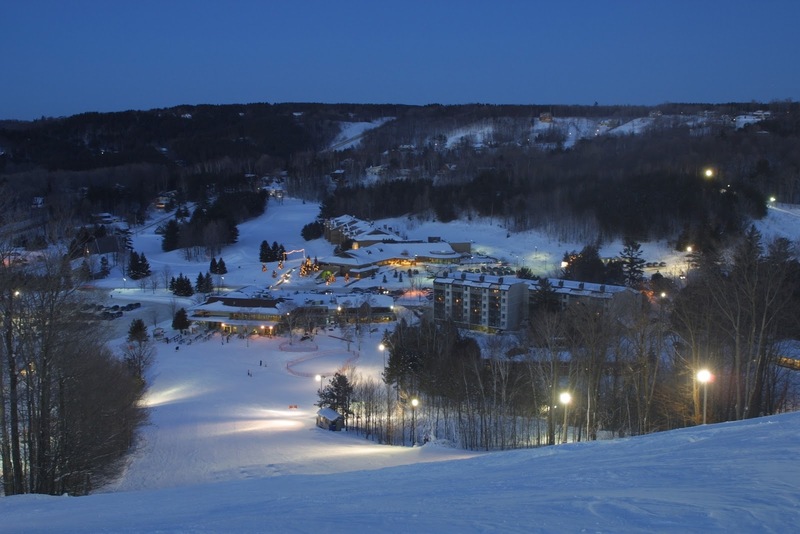 The resort is around a 60-90 minute drive from Toronto, depending on the weather and traffic and features 26 slopes, six chair lifts and 35 kms of groomed cross-country trails. 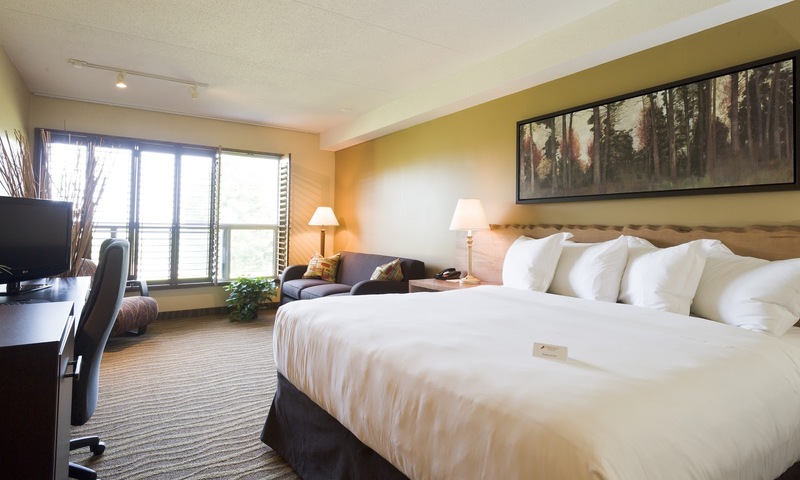 If you're looking to make a winter getaway out of it, The Inn at Horseshoe Resort was originally built in 1987 and has received over $2.2 million in renovations and upgrades since Skyline Resorts purchased the property in 2008. The majority of the rooms have been given a modern update and the hallways are slated to be finished by June of this year. Rates are very reasonable and start from $129/night. Plans are underway to add a 116 slopside condominiums, underground parking lot, restaurants and shopping village via the very ambitious Copeland House project which will take around three to four years to complete. Now I have very low expectations when it comes to 'ski resort food'. Visions of overpriced cafeteria poutine, wings, nachos and cheeseburgers come to my head. To be honest, I probably wouldn't have thought twice about trying the fine dining restaurant, Silks inside The Inn at Horseshoe. 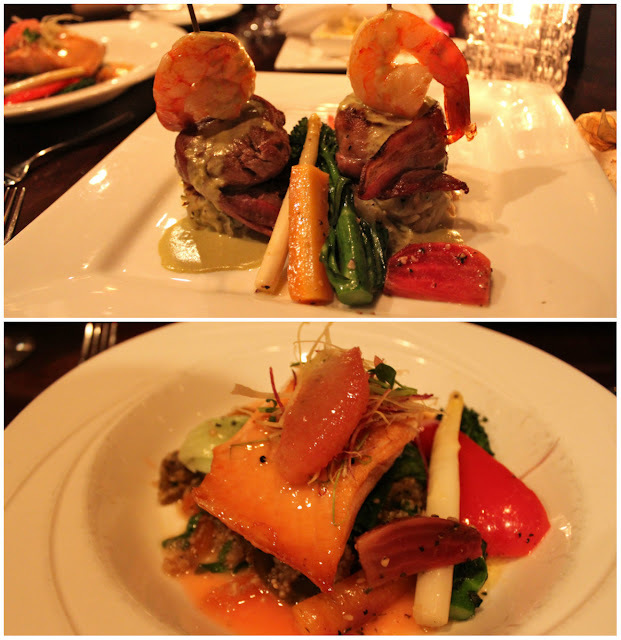 After eating dinner there on my first night, all I can say is - Silks is NOT to be missed. This hidden gem is the prize of Executive Chef Dylan Tulloch, who gained lots of experience working inside the kitchen of Whistler's top restaurant, Araxi. The menu features local, fresh and organic ingredients whenever possible and I cannot stress how GOOD the food is here. 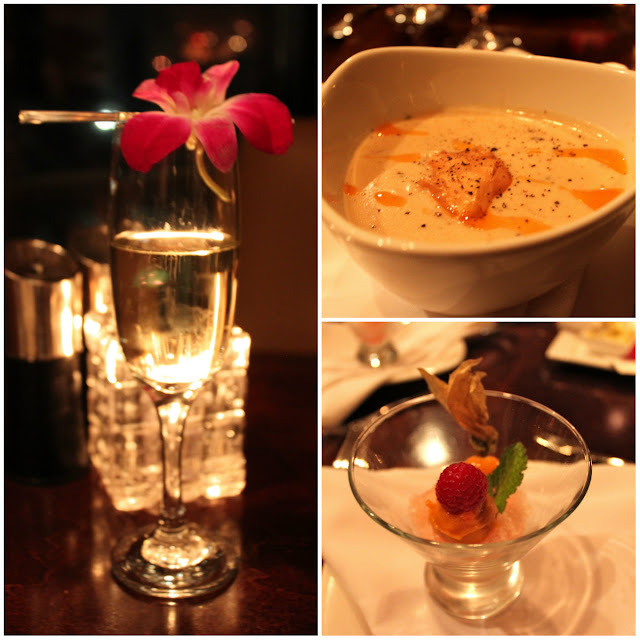 Silks is the perfect place to kick off a romantic getaway or special dinner with your girlfriends. For a more casual bar & grill option, check out Crazy Horse Restaurant (across from the Inn) and make sure you order the made in-house 12 oz Firecracker Burger with a side of spicy potato wedges. Perfect after a long day on the slopes. 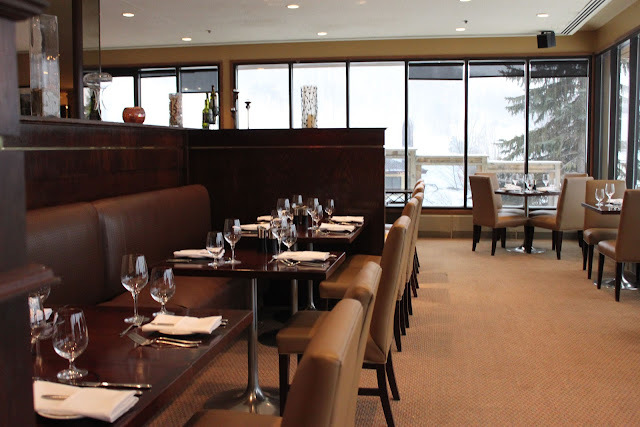 Manic Mondays: Receive 50 per cent off a lift ticket with the purchase of a lunch or dinner entrée at Crazy Horse restaurant or breakfast at Silks Restaurant (minimums apply). Private Lesson Perks: Book a private or semi-private lesson any Wednesday and receive a free lift pass (must be booked 48 hours in advance). Triple Play Pass - Three unlimited lift tickets to be enjoyed at any day and time throughout the season for just $99. Go Tubing! - $4 for a single ride or $20 for two hours. 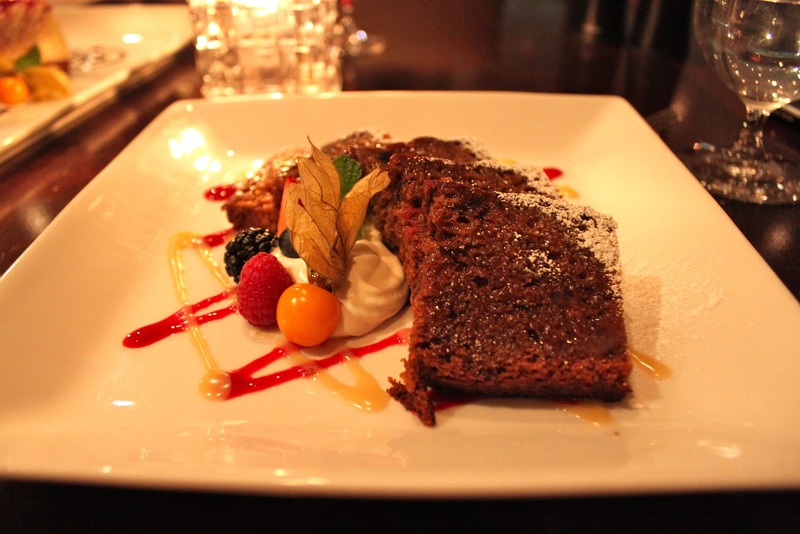 I also went cross-country skiing here last winter - so check out this post!